Whether we like it or not, winter is coming. These sunny, warm days will eventually come to an end, and we will all have to start grabbing some warmer clothes to wear. 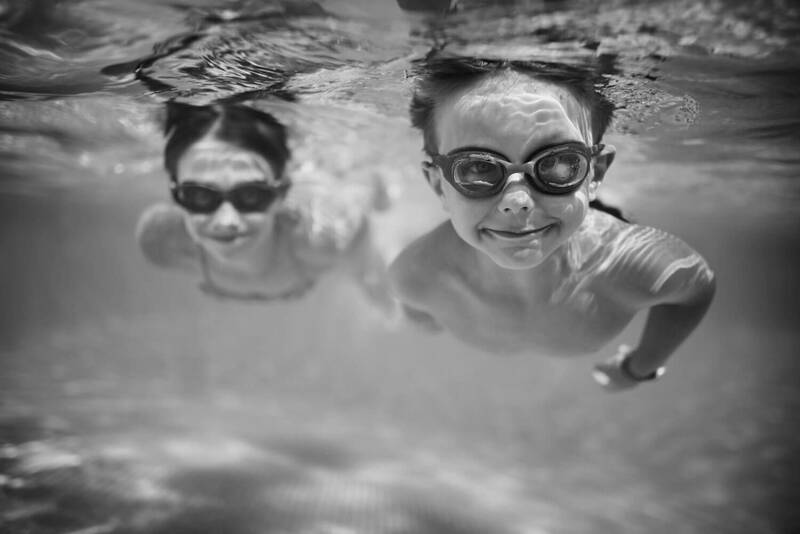 The days will become short and rainy… But thankfully, only until summer comes again next year! Then again, if you have a fireplace, you know there is no better feeling than to sit next to it, curled up in a blanket, drinking some tea or hot cocoa, watching Netflix and listening to the sound of the pouring rain outside. And if you do, there’s a chance you’ll get firewood by splitting your own logs. That is the most troublesome part, right? Well, if you follow our recommendation for the best electric log splitter available, you will be done with wood splitting in no time, so you can quickly go back to the warmth of your living room. Let us analyze our options here. The XM-380 is a real powerhouse, living up to the name of its brand. 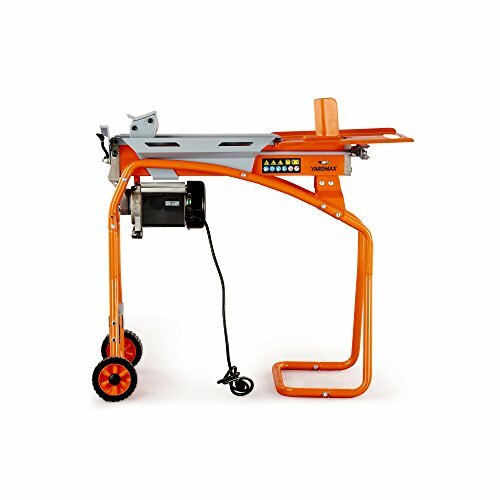 It is really a machine with great cutting force and, thanks to its 3 HP motor and generated force of 7 tons, it will have no problem ripping through most types of wood, once you get it running. That might not be the most straightforward thing because the user manual was not as clear as it should be. 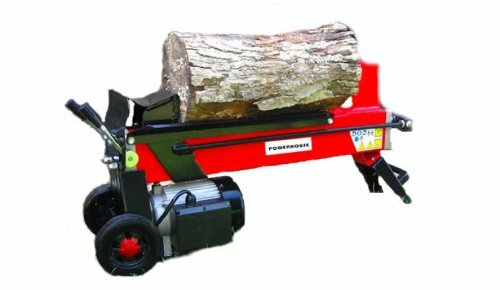 Powerhouse’s model split logs up to a maximum of 20.5 inches in length and 12 inches in diameter. Like most log splitters you see nowadays, it has a two-handed operation for safety reasons. The build quality is good, with solid materials and a sturdy feel. It does not come with a stand, so you might want to get one to work in a more comfortable position. Despite its log-cutting capabilities (it will slice through a 20’’ by 12’’ log in about 6 seconds), it has some glitches during use. The ram travel distance falls a bit short, and the wedge could also be wider, which means that for smaller logs it will struggle to make clean splits. You can always add a spacer between the pusher and the log, but that may not be advisable for safety reasons. Another disadvantage of the XM-380 is that the wheels are a bit too close together. As a result, the log splitter sometimes tips over when moved around. Overall, the XM-380 feels like a real powerhouse with a good build. The YS0552 by Yardmax is one of the most user-friendly log splitters out there. The cylinder’s 5-ton splitting force is a bit less than that of its competition, but it’s not that all noticeable when you give it a try. Perhaps it has a little less crushing power for the hardest types of wood, but you can compensate for this by rotating the log by 90 degrees and giving it another go, just as you can with other log splitters. It is also operated with two hands and can handle logs of up to 20.5’’ length and 10’’ in diameter, making it also slightly inferior in this aspect. It is relatively lightweight, weighing 108 pounds, and has good build quality, although maybe inferior to that of the XM-380. The packaging includes some accessories to make your job easy. A stand is incorporated, allowing you to stay in the most comfortable position while splitting your lumber. A log tray is also included, which prevents the split wood from falling to the ground and allowing you to collect it quickly and move it to the desired destination. There is also a stroke limiter in the package, which is an excellent add-on for splitting shorter logs. It limits the machine’s work range and makes the wedge stop closer to the log pusher to cut short logs all the way through. Lastly, we can say that all these accessories require little or no assembly, making the YS0552 easy to use. The Boss Industrial ES7T20 is really the boss of log splitters. It is an industrial-grade, heavy-duty splitter with 7 tons of generated force, making it capable of crushing even the harder types of wood. 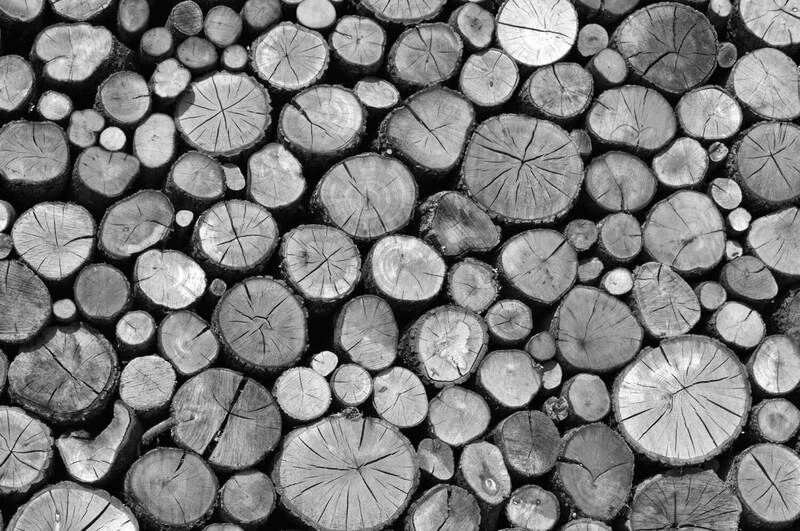 The maximum recommended log dimensions are 20.5’’ of length and 10.5’’ of diameter, although users have reported cutting through logs up to a staggering 17’’. 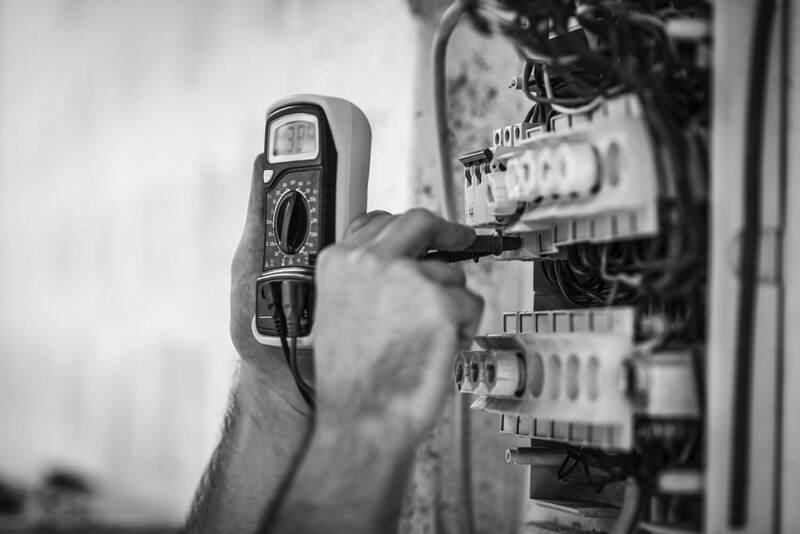 All of this comes with a 2-year residential, 180-day commercial warranty. 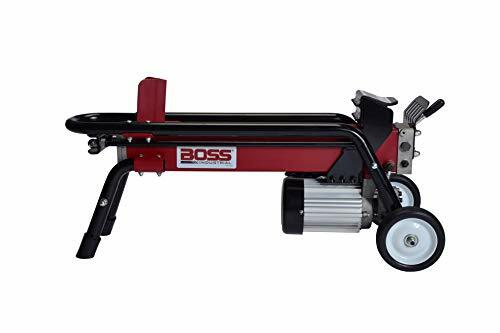 No assembly is required to start using this Boss splitter, and, with a weight of 117 pounds, its build quality is among the best on the market. It is also portable like its competitors, although it does not have handy accessories like the YS0552. What really makes the ES7T20 shine, however, is the one-handed operation. 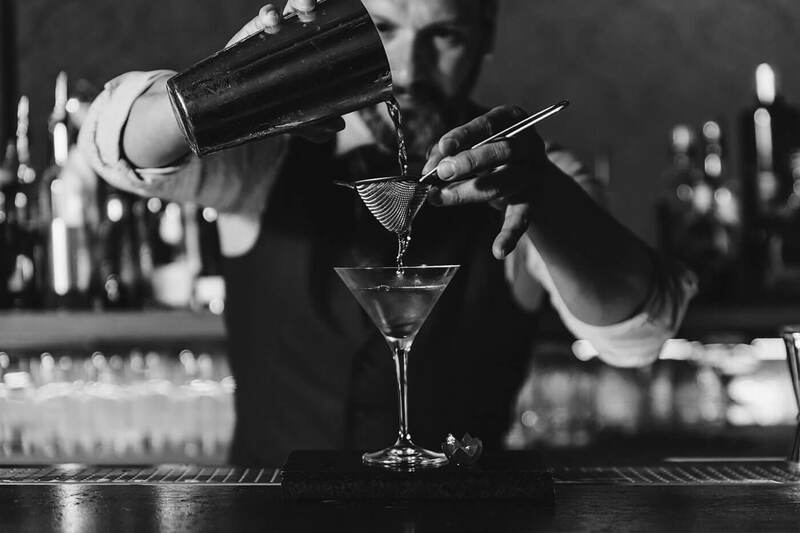 As long as you keep security in mind, you’ll probably love this system where you just have to switch the machine on, and then use the lever with a single hand. After the lever is released, the ram automatically returns to the original position, making log splitting a breeze. 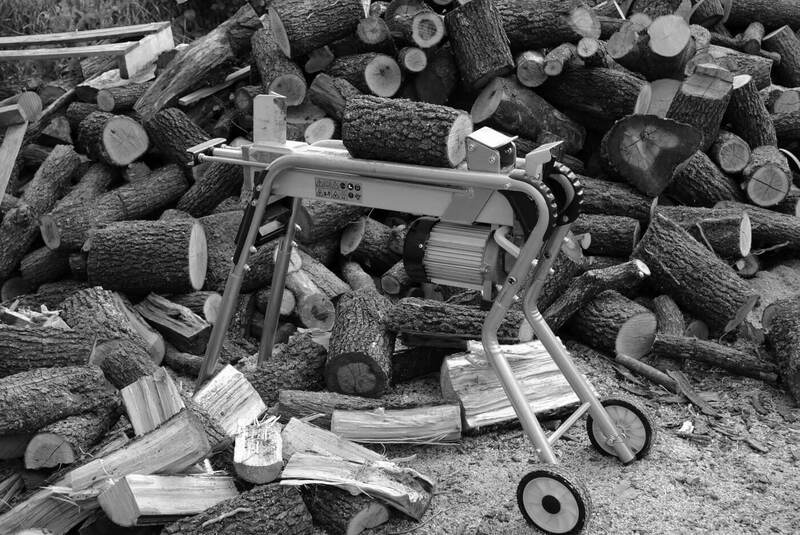 As we’ve seen, there are multiple choices available if you want a log splitter for those cold winter days. The solid, high-quality Boss Industrial ES7T20 is the one that stands out from the pack. Its one-handed operation is very hard to find nowadays and makes it a joy to use provided you take safety precautions. The automatic ram return means you’ll spend even less time between logs. The other two splitters we’ve tested were not too shabby, either. The Powerhouse XM-380 is a sturdy machine with great crushing force, but several below-par details have let it down. The slightly weaker YARDMAX YS0552, on the other hand, does exactly what it sets out to do, which is to provide a complete, easy user experience.